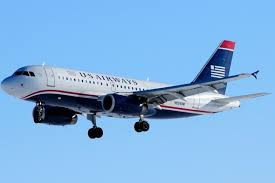 Two Air France flights headed from the United States to Paris were diverted because of bomb threats, officials said.Flight 65, en route from Los Angeles to Paris, was diverted to Salt Lake City after a bomb threat was called in from the ground, a U.S. government official said. The official did not know whether anyone was arrested and was not aware of any unruly passengers on board. Shortly afterward, Air France Flight 55 from Washington’s Dulles International Airport to Charles de Gaulle Airport in Paris was diverted to an airport in Halifax, Nova Scotia also because of a bomb threat, a government source said. Air France Flight 55 lands at Halifax Stanfield International Airport in Canada. “Several law enforcement agencies are working … to determine the nature of the threats which caused the aircraft to divert,” FBI Special Agent Todd Palmer of the Salt Lake City division said. No U.S. military aircraft were scrambled in either incident, NORAD spokesman Preston Schlachter said. “Diversion of flights are the most draconian response to a bomb threat,” CNN national security analyst Juliette Kayyem said. Officers searched the plane that landed in Salt Lake City and rendered it safe, Salt Lake City Airport Police Chief Craig Vargo said. He said airport officials have turned the plane back over to Air France, which was preparing the plane for departure.